The world is in limbo between the way things used to be and…the smart way. Our phones are smart, our televisions are smart, and our cars are smart…unless they’re not. Many people now experience a lifestyle of voice-activated lights and smart speakers commanding the thermostat. However, most of us are in a transition period. It is the beginning of total infiltration of the Internet of Things (IoT), which means there are many options, and we have to figure out the best way to integrate them into the home. The newest cars are now being equipped with wireless chargers to keep our smartphones in working order. Those of us living average lives with older vehicles must find ways to adjust. So, we have USB chargers plugged into our cigarette lighters. If we are more advanced, we may have USB outlets. There are aftermarket products available, but everything is an adjustment to get to modern convenience. In the home, similar adjustments have to be made. Here are a few ways you can make things smart even when they started off…not. One of the biggest things that allows smart items to function is a Wi-Fi connection. Many communities are not equipped with Wi-Fi services, so we adjust with Wi-Fi wireless routers. This has been going on for over a decade, and wireless routers are now a basic household item. 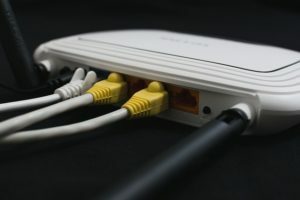 However, some devices require a hardwired internet connection. There is no amount of frustration that can be described when purchasing a new “smart” Blue Ray player, so your old television can be “smart,” and finding out that it doesn’t work via Wi-Fi. This means, you are going to have to call someone to install an Ethernet outlet or a phone jack, right? Wrong. There are network adapter kits that will give you an Ethernet port straight from your electrical outlet. All you have to do is plug it in, and in some cases, you’ll have multiple ports that can get internet to your television, Blue Ray player, and other devices. Smart lighting is also a popular trend in smart options. It is SO nice to tell your lights to turn off from anywhere in the house when all you want to do is go to bed. The problem with smart lighting solutions is that smart bulbs get expensive! Also, some require hubs to cover all the control options. You don’t have to fill your house with smart bulbs to get the smart effect. They make smart switches that cost about the same as a bulb. This is very nice when you consider chandelier lighting, where you may have to spend some big bucks on multiple bulbs. 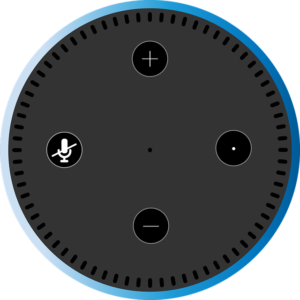 Also, many systems will work on multiple hubs or just via your smart speaker. Try it out before you invest in redundant equipment. Walking into the house can be accompanied by your favorite music should you choose that even to happen on your smart schedule. Devices like Amazon’s Alexa and Google Home make music available at the sound of your voice. Have a huge CD or vinyl record collection? Smart plugs may be the solution. The cool thing about smart options right now is that the industry recognizes a need for compatibility, so they provide options. Who doesn’t have a smart tv? Many people! That is because you don’t have to buy a new television to make it smart! Roku sticks, Amazon sticks, Chromecasts, gaming systems, and smart DVD/Blue Ray players all allow your television to access apps and use the internet. The Amazon stick will even allow you to control your tv by voice! Last but not least, smart devices have made security systems much more convenient and affordable. From security lights to security cameras, smart devices allow surveillance to occur 24/7 with access to them via your smartphone. Package thefts have been on the rise, and one new smart device is the Ring doorbell, which is equipped with a camera that gives you a visual anytime anyone ends up outside of your door. You can even talk to the person if you aren’t home, so they know when a good time is to come back. It hooks up to your old doorbell system, so there is no rewiring required in many cases. You can see that our older devices are able to be upgraded to smart devices because of the way the smart industry has designed their products. Not everyone can afford the latest new smart television or a brand new car, but there are workarounds that give you the convenience of new technology. If you are looking for the modern convenience of smart technologies, get on the internet! You may have to call an electrician in some cases for part of the installation, but many things are able to be installed by the layman. Smart devices are within reach even if you don’t have a lot of extra money to spare.